Remarkable improvement in sound clarity and openness. Modern high end speakers are exotic and perform with great accuracy, providing punch without missing the most subtle details. Similar to performance tires on a race car, the GAIA-TITAN’s allow high end speakers to reach their full potential, delivering remarkable natural openness and clarity. GAIA-TITAN series feature the same patented isolation technology as the original award winning GAIA series. The GAIA-TITAN series has 3 models with weight limits ranging from 320 lbs to 620 lbs. 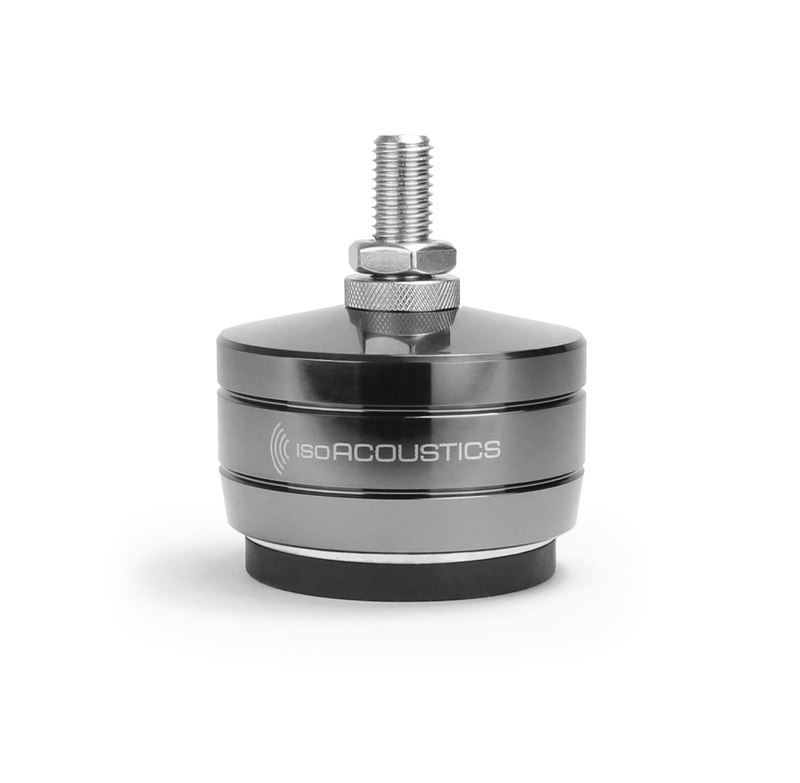 The GAIA isolators are machined stainless steel units that incorporate IsoAcoustics’ patented design to provide a high degree of speaker isolation, while resisting lateral movement and oscillations, to maintain accuracy and alignment with the listening position. 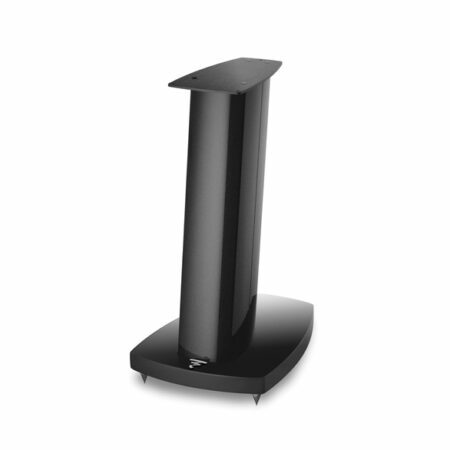 Internal reflections from the hard supporting surface are attenuated resulting in greater sound clarity and openness. The soundstage blossoms to open up a three-dimensional image of natural, spatial sound. 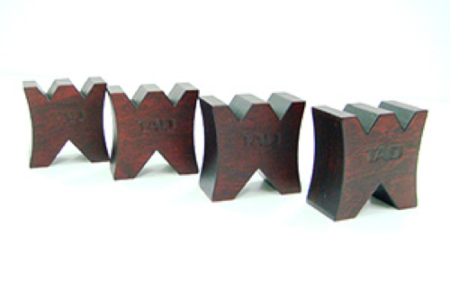 The GAIA-TITAN models each come with 3 common thread sizes which will fit most speakers of this size. 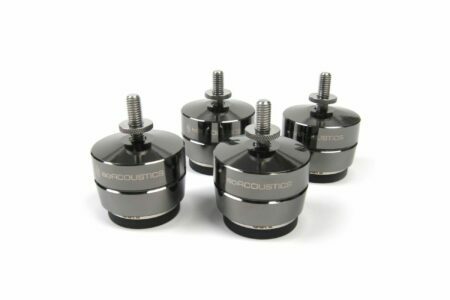 Alternate sizes are available through IsoAcoustics distributors. 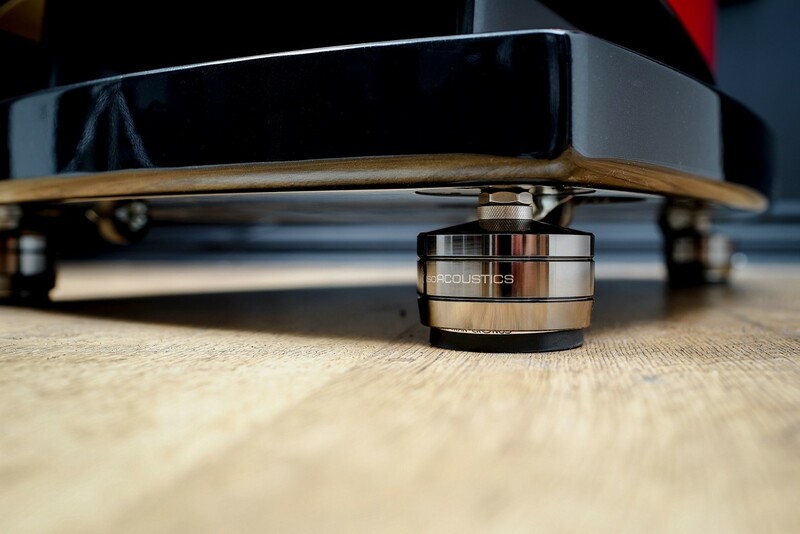 The IsoAcoustics patented isolation design is directional. 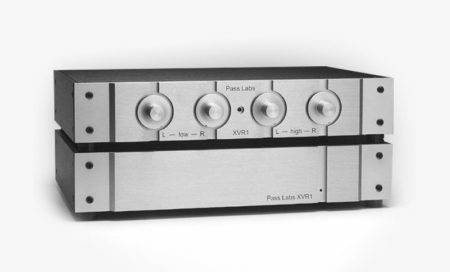 Optimal results are heard by installing the GAIA-Titan isolators with the logo facing the listening position, or rotated 180 degrees, to align the isolators with the speaker’s motive forces. The GAIA-Titan’s lower isolator is designed to adhere to the supporting surface. For carpeted flooring, Carpet Discs are available for each GAIA-Titan model which allow the GAIA’s to connect to the solid flooring below. 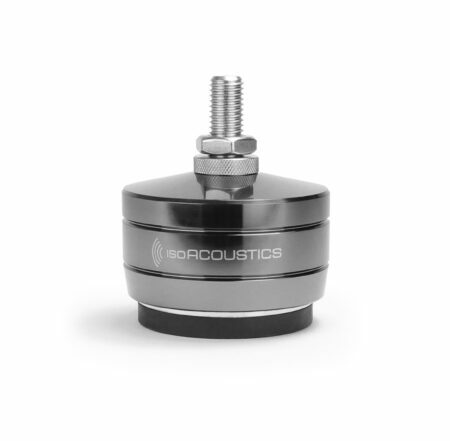 The isolators manage the energy of the speaker to reduce vibrations resonating through the supporting surface to eliminate dissonant sounds in the listening area or joining rooms. Internal reflections are vibrations reflecting back up into the speaker cabinet which causes smear. Smear is a result of artifacts reflecting back up into the speaker and when replicated in both channels, they are perceived to be in the middle, causing the stereo image to collapse and become two dimensional. 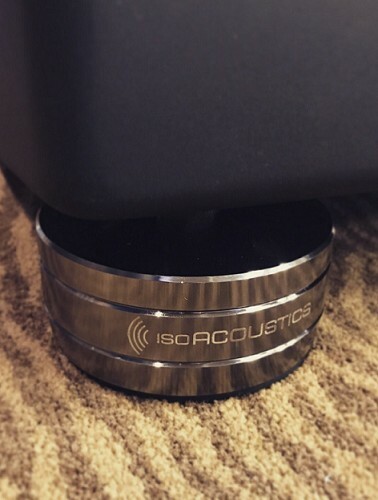 The IsoAcoustics isolators reduce internal reflections to eliminate smear. The result is an open stereo image of natural spatial sound.